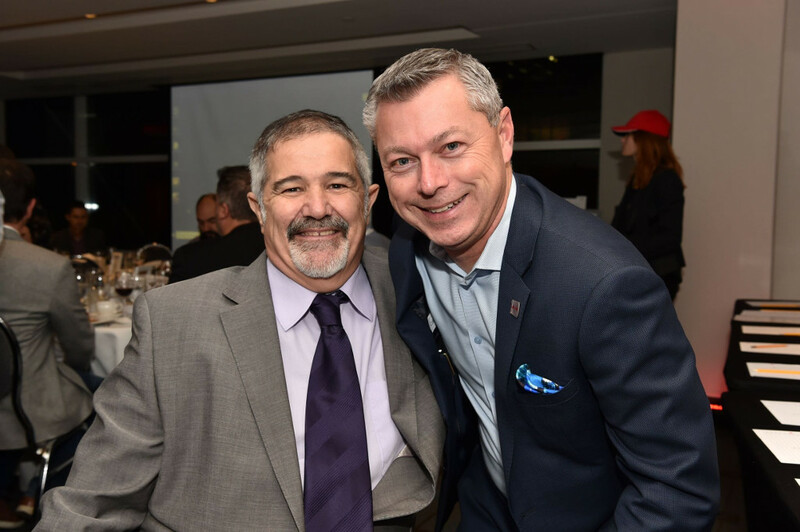 On Tuesday, October 30, more than 120 motor racing enthusiasts and friends of the Gilles-Villeneuve museum met at the Sofitel Hotel in Montreal for the 2018 banquet. Several personalities were present: Jacques and Céline Villeneuve, pilots Rafael Lessard and Guillaume Archambault who were awarded the Bertrand-Fabi and Gilles-Villeneuve trophies by Autosport Quebec, not to mention the guest speaker, Éric Lauger, former mechanic of the French team of Formula 1 Ligier. The entire Gilles-Villeneuve museum team would like to thank the participants of this important evening, as well as the partners of the event: the Mp for Berthier-Maskinongé Ruth-Ellen Brosseau, the Canadian F1 Grand Prix, the Grand Prix de Trois-Rivières, the Federation of Motorized Sport, the city of Berthierville, Autosport Quebec, Ebi Environment, McDonal Berthierville, St-Hubert Berthierville, Kart-O-Mania, Autochem and the Royaume de la Musique de Joliette. The funds raised contribute to the maintenance of the museum’s activities and its development.